Trigger LTV can be armed with circular or swivel mounted weapons systems such as 7.62mm and 12.7mm machine guns. Image courtesy of Arquus Defense. Trigger LTV has the ability to ford 0.8m deep water bodies. Image courtesy of Arquus Defense. Arquus exhibited fire support configuration of the Trigger LTV at the Shield Africa security and defence exhibition held in Abidjan in January 2019. Image courtesy of Arquus Defense. 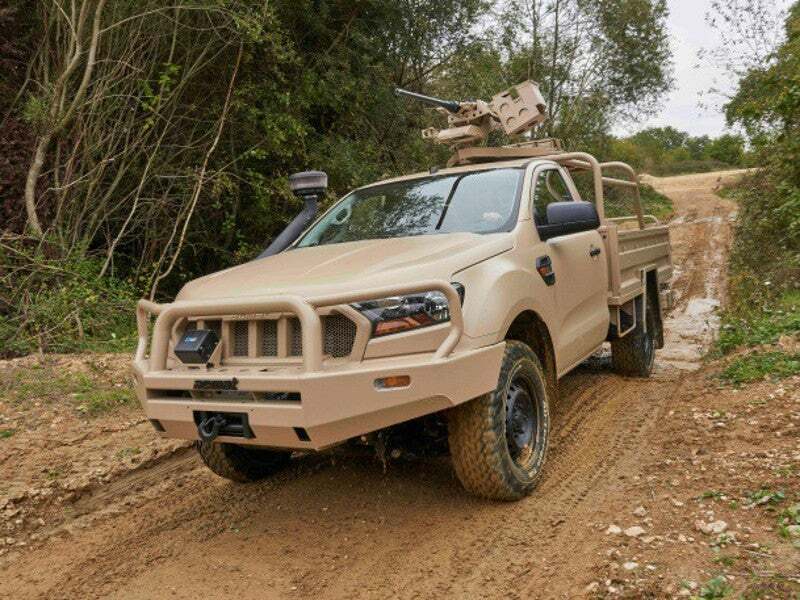 Arquus Trigger is a new 4×4 light tactical vehicle (LTV) designed and manufactured by French land defence systems manufacturer Arquus Defense (formerly Renault Trucks Defense). The new-generation tactical vehicle is used for troop transport, liaison, cargo, surveillance, and reconnaissance and security missions. 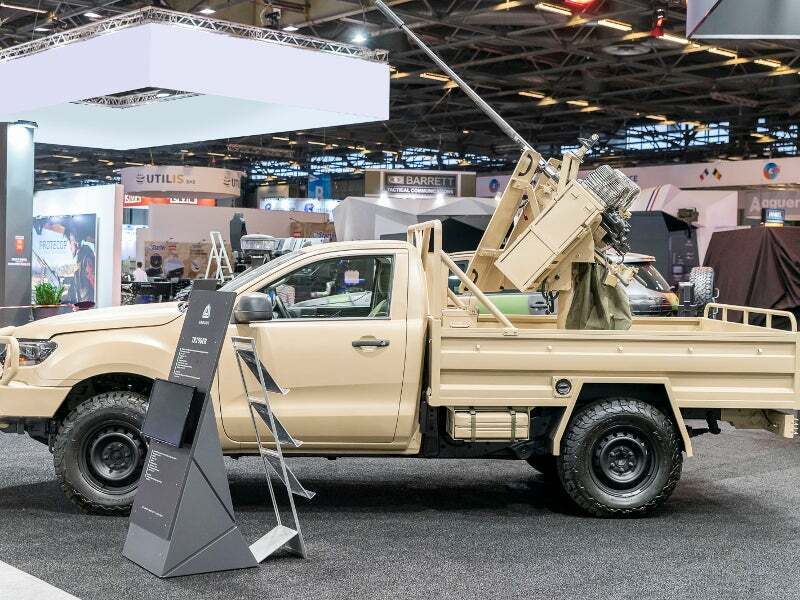 Arquus exhibited the fire support configuration of Trigger LTV in the Shield Africa international security and defence exhibition held in Abidjan in January 2019. The fire support variant features a 12.7mm machine gun. Trigger is available in two variants for missions such as land patrol, reconnaissance, surveillance, and liaison. It features a rear platform to carry cargo and weapons systems. The single cab variant can carry two crew and eight personnel, with its rear platform measuring 2.4m-long and 1.9m-wide. The double cab variant offers extra seating and can accommodate four members in the front cab and six in the rear cab. Its cargo platform has a length of 1.65m and width of 1.9m. Arquus Trigger light tactical vehicle is based on a reinforced platform, which is also used for the VT4 light tactical vehicle. It offers a large modular flatbed to suit the needs of the military. It offers an optimised payload carrying capacity of 1.3t and cargo area of 4.6m2. The light tactical vehicle is 5.2m-long, 1.96m-wide and 1.7m-high. It has a wheelbase of 3.2m and offers 0.23m of under-axel ground clearance. The gross vehicle weight of Trigger LTV is 3.5t, while its gross combined weight rating is 7t. The base version of the vehicle features a reinforced body and suspension and offers right or left-hand drive option and a spare wheel. It can be optionally equipped with a modular rear platform, which can be designed to meet various military needs, a tow hook, front winch, light grids, global positioning system (GPS), and a radio system. The Trigger LTV can integrate circular or swivel-mounted weapons systems such as 7.62mm and 12.7mm machine guns. It has proven records of offering greater stability with the 12.7mm machine gun. Its highly optimised protection enables troop safety during challenging missions. The vehicle is fitted with body protection and bull bar to protect its crew. Trigger LTV is powered by a four-cylinder 2.2l turbo diesel engine, which is fed by a high-capacity 115l fuel tank. The fuel system integrates an advanced reinforced double diesel filtration system, which enables the vehicle to be run on low-quality fuel. Coupled to a six-speed mechanical drive gearbox, the engine develops a maximum power output of 150hp. The power-plant generates a high torque of 375Nm at 2,000rpm, which enables the vehicle to scale any terrain even while carrying heavy loads. Arquus Trigger LTV can attain a top speed of 170km/h on road and reach a maximum distance of 1,000km in autonomous mode. 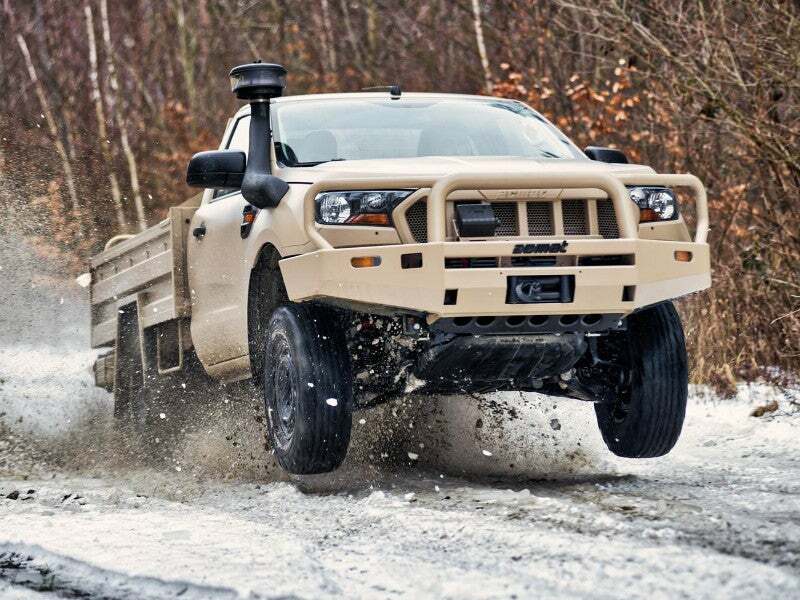 The high-agility all-terrain vehicle withstands rigid conditions and can deliver high performance in tactical and challenging conditions of the field. It is equipped with a cyclonic snorkel for protection against sand. The 4×4 wheel drive vehicle is fitted with 255/70 R16 tires, which provide greater grip to scale 60% gradients. It can negotiate trenches of 0.5m with ease and climb vertical obstacles of 0.23m. Trigger LTV has the ability to ford water bodies with a depth of 0.8m. Trigger is air transportable by CN-235, C-130 or A-400 military transport aircraft and can be easily deployed to the mission locations.